Complementary therapy should be considered as an alternative to professional medical advice where necessary and a professional holistic therapist would not suggest that you stop taking any current or recommended medication etc prescribed by a doctor or professional. However there has been some amazing results and benefits to the health of many who have undergone alternative treatment when they have felt that conventional medicine is not suitable or no longer having the desired effect. There are now many GP Practices and hospitals whom recommend many alternative treatments for their patients, thus holistic therapist's & practitioner's are becoming more and more in demand. AROMATHERAPY - is a hands on therapy using massage and essential oils. Aromatherapy can be traced back more than 3,500 years so this is certainly not a new holistic treatment. One of the reasons for its success and popularity is that the aromatherapist will take into account the person as a whole and not just treat the symptom. Using massage and essential oils the aromatherapist is able to bring the body back into balance and by doing so assist the body’s natural ability to regulate, maintain and heal itself. ANGEL THERAPY - Angel therapists work by contacting their guides and angels to help assist during the healing process. People who have had angel healing have been known to experience a huge difference in their quality of life. Supporters of this therapy have found that working with an angel therapist has helped to free them from long term sickness or ailments. The angel therapist also uses crystals and oils during healing which makes this therapy ideal to use alongside other holistic therapies, especially crystal and reiki healing. COLOUR THERAPY/CHROMOTHERAPY - is becoming more and more popular. Because we absorb colour through our skin and our aura colour energy affects us on all levels. Colour therapy is a non-invasive holistic treatment and a professional therapist will heighten your awareness of how colour works for healing purposes. Training courses are available and becoming more popular. Colour therapy is used throughout the world as a complementary treatment for a wide range of illnesses: asthma, arthritis, eating disorders, skin diseases, digestive ailments, blood and circulation problems, fevers, rheumatism, shock, relief of pain and as part of the treatment for serious illnesses such as paralysis, multiple sclerosis, M.E, cancers and Aids. It is also used to great effect in the treatment of nervous and mental disorders and depression. CRYSTAL THERAPY - is an alternative medicine technique that employs stones and crystals as healing tools. The practitioner places crystals on different parts of the body, often corresponding to the chakras, or places crystals around the body in an attempt to construct an energy grid, which is believed to surround the client with healing energy.The healing will then remove blockages in the aura or the body's electromagnetic field. When the stones are placed in the area of the chakras, the colour of the stones may correspond to the colour which is associated with the corresponding chakra. Different stones are believed to have different healing vibrations, so a treatment based on the type of stone may be used instead. 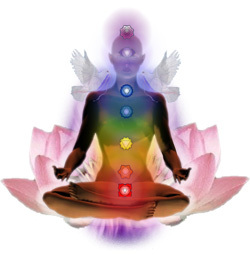 CHAKRA AND AURA HEALING - Working as a holistic practitioner they are well aware of how much chakras and auras play a very important part in the healing process. Learning how to balance and harmonize the chakras and how to see and cleanse auras is a therapy all in its own, however knowing how to work with chakra and aura system is beneficial and works well alongside all alternative healing treatments. ENERGY HEALING - Many holistic therapists use various forms of energy healing and this course will be helpful for any of you whom already use other therapies or are wishing to learn about holistic therapy for the very first time. Energy healing is not a form of faith healing and has no religious context. Energy healing can be learned by anyone regardless of their beliefs. This form of healing is the basis for all therapies and can help to overcome depression, addictions, grief, insomnia and physical pain. FENG SHUI - One of the basic tenets of feng shui is that you are influenced by everything in your outer environment. Should you arrange your environment in a way that properly uses this life-force energy (Chi), you will flourish. Feng shui is a lifestyle -- a way of living in the world that continually moves towards the positive flow of energy. Whether you are creating a beautiful home, a loving relationship, or a successful career, you can incorporate feng shui and feel a profound difference. People have had some amazing transformation in both their home life, love life and working life by incorporating feng shui into their environment. HEALTH & NUTRITION PRACTITIONERS - Health can be defined in many ways, the focus may be on the biological causes of health and disease or it may focus on the social and emotional aspects as they all relate to one’s overall wellbeing and quality of life. Because there are so many varied aspects to health and well being, how we view health will depend mainly on many contributing factors. Who we are and our interests in health are only two of these components. However, health is more commonly thought of as the absence of disease but a more comprehensive definition would expand this to include the presence of complete physical, mental and social wellbeing. Learning more about this can enhance your progression and career in the health professions thus improving your employment prospects or working as an independent health advisor. HOPI EAR CANDLING - Hopi Ear Candling is an ancient treatment that has been used for thousands of years and today continues to be widely used by practitioners to treat a range of issues. On the surface, Hopi ear candles regulate ear pressure and loosen and remove excess wax from the ear canal, yet by doing so, they are able to effectively treat a number of conditions such as headaches/migraines, sinusitis, tinnitus and allergic rhinitis. The candling treatment helps to rebalance the pressure in and around the eardrum, soothing and calming many symptoms. The process of Hopi candling involves a specially designed hollow candle being inserted just inside the ear canal. The candle is then lit and the suction that is formed draws the impurities from within the ear. This process is known as ‘the chimney effect’. The rising air gives the ear drum a gentle massage and also helps to regulate ear pressure. A small amount of ear wax may also be removed during the treatment. HOT STONE MASSAGE - Stones (usually basalt) are placed into a purpose-built Stone Heater which is filled with water. Once the stones have heated sufficiently, they are then placed onto certain points on the body (such as the back, hands, legs etc.) and the other stones are then held by the therapist in which they are then used to massage and work the muscles. INDIAN HEAD MASSAGE - This treatment is very popular. The massage starts with the upper back following certain pressure points so that the muscles loosens. You will also benefit from a shoulder and upper arm massage that will help to greatly reduce tension. A neck massage will follow as this is where most tension accumulates and this can help to relieve headaches or migraine. Finally the scalp will be massaged and certain techniques are used that help to stimulate and revive the whole head by increasing circulation. This is also known to help promote healthy hair which is one of the reasons that many good hair salons now incorporate a head massage as part of clients hair wash.
REFLEXOLOGY - Reflexology, or zone therapy, is an alternative medicine involving the physical act of applying pressure to the feet, hands, or ears with specific thumb, finger, and hand techniques without the use of oil or lotion. It is based on what reflexologists claim to be a system of zones and reflex areas that they say reflect an image of the body on the feet and hands, with the premise that such work effects a physical change to the body. This is quite a complex therapy and massage therapists such as aromatherapists, Swedish masseurs etc often incorporate this in their treatments. REIKI HEALING - Using hands to touch or hands away from the body means this is a wonderful none invasive therapy and often used in nursing homes and hospices. Reiki clears away blockages so that your natural flow of energy can be released, this blockage is what causes illness and stress.When a person is attuned to Reiki energy, their channels are opened to Universal Life Energy. A Reiki attunement is much like tuning a radio to get the desired station. The attunement tunes a person into Reiki energy so that it can be channelled for you or others at anytime for the rest of your life. 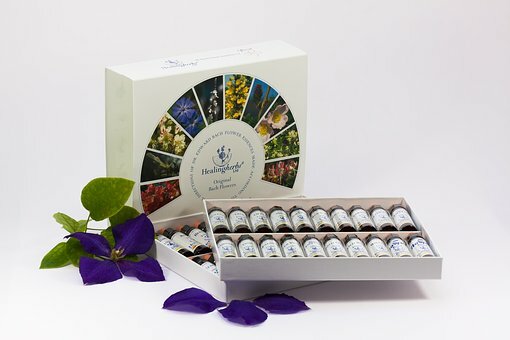 Bach Flower Remedy Courses - Using special bach remedy drops has been known to cure many ailments. Based on Dr Bach whom disovered after being diagnosed with cancer and given only 3 months to live, he went on to develop these amazing remedies and lived for many many years. These flower essences - Resuce Remedie being the most popular one have amazing benefits. Learning how to use these essences and being able to adminster correctly is an important part of learning about them. Harmless to children, babies and animals this is truly none evasive and gentle approach to healing.